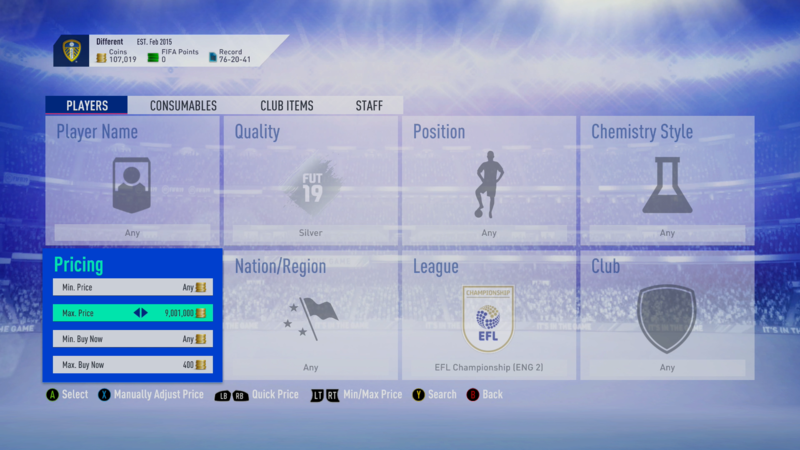 Sniping on FIFA 19 Ultimate team can be an extremely effective way of making 100k+ coins daily. Due to the New EFL Championship SBC silver players are very easy to snipe. A lot of the snipes you get are for players worth 1000+ coins with some reaching 3000. Although some snipes you will get, the players will be 600-800 coins your still nearly doubling your coins. 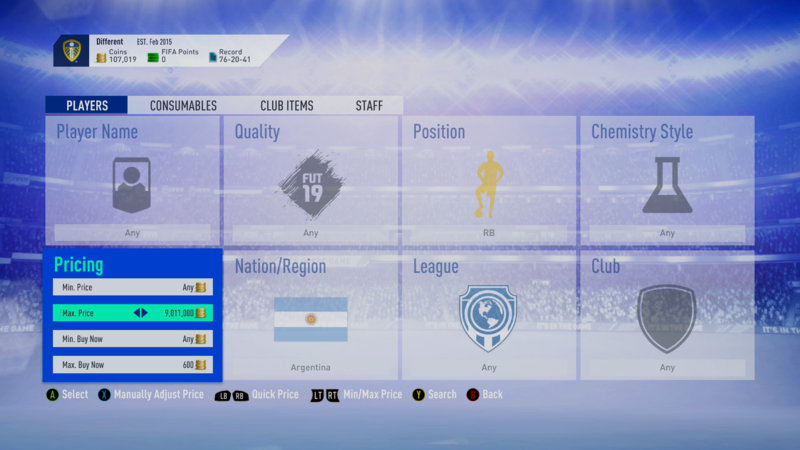 Again the New Argentina league SBC means that Argentinian players are in demand and with there not being many RBs for the clubs this is one of the most valuable positions. With this filter you are able to get bronze, silver, and gold RBs worth 800+ coins.